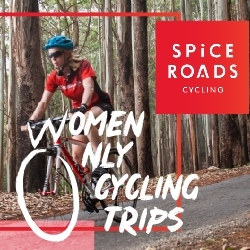 Bangkok, Thailand, March 22, 2019 --(PR.com)-- SpiceRoads Cycling, a pioneer in cycling holidays throughout Asia, has just launched two new travel experiences on its tours: Women Only and Solo Only trips. 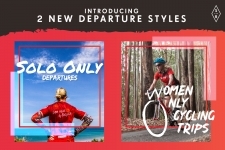 These departures will further expand the choices for women and solo adventure travelers, and respond to the needs of an increasing number of travelers that choose cycling adventures not only for the sake of exploring a new destination, but also for the social experience. Women Only departures feature some of SpiceRoads’ most popular tours, led by an expert female cycling guide and providing a unique group experience that focuses on female empowerment and adventure in the company of like-minded female cyclists. These departures will be open to female riders booking individually, or as a group. 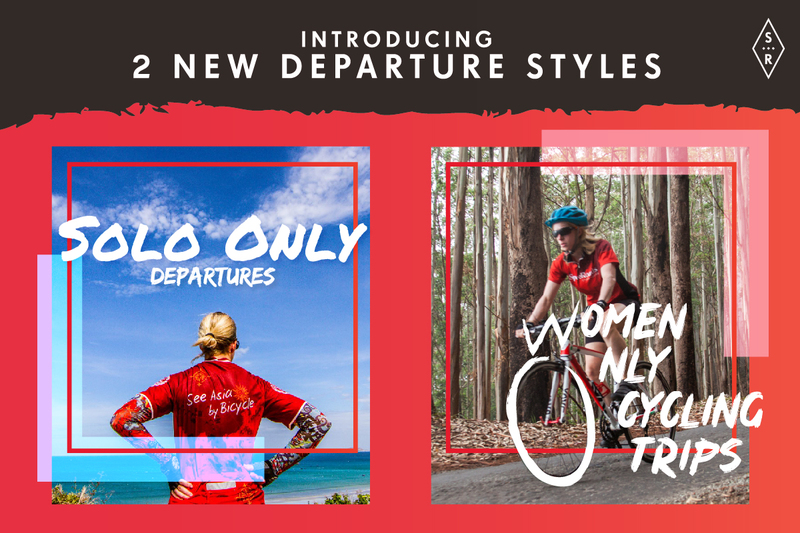 Alongside Women Only trips, Spiceroads has developed new Solo Only departures designed for solo cyclists that want to explore exotic destinations while getting to know other like-minded riders on their trip. From a selection of the best-selling and most rider-favorite trips, SpiceRoads Solo departures are open to single riders of any gender. As in all of SpiceRoads curated tours, guests on Women Only and Solo Only departures will enjoy the usual standards such as all accommodation and most meals included, dedicated support vehicle and the best local guides to lead the group through an expertly curated cycling route. SpiceRoads Cycling are cycle touring specialists based in Bangkok, Thailand. Founded in 1995, SpiceRoads leads over 10,000 travelers per year on active cycling adventures in 37 destinations worldwide.SpiceRoads offer cycling tours to suit every type of cyclist, from road enthusiasts, to leisure cyclists, to day trippers, to mountain bikers.